In his wide-ranging rambling autobiography, Travels in Dreams, the Godfather of permaculture Bill Mollison repeats two refrains: “when I am emperor…” and variants of “no I do not want to go see your organic garden”. The first is meant to mock our desires to make things as we think they should be. The second is to make it clear that permaculture design is not about gardening but about designing systemic change processes. Unlike typical architectural, engineering, or landscape architecture design, it is not about spacial design, but about process design. This is because structures are dead and entropic so they are inherently degenerative. Life is process. This is the reason behind permaculture’s focus on observation The question it asks is: how do we use the forces at play here to get us where we need to go? This is why the recent use of the phrase “Liberation Permaculture” though wonderful, seems redundant. 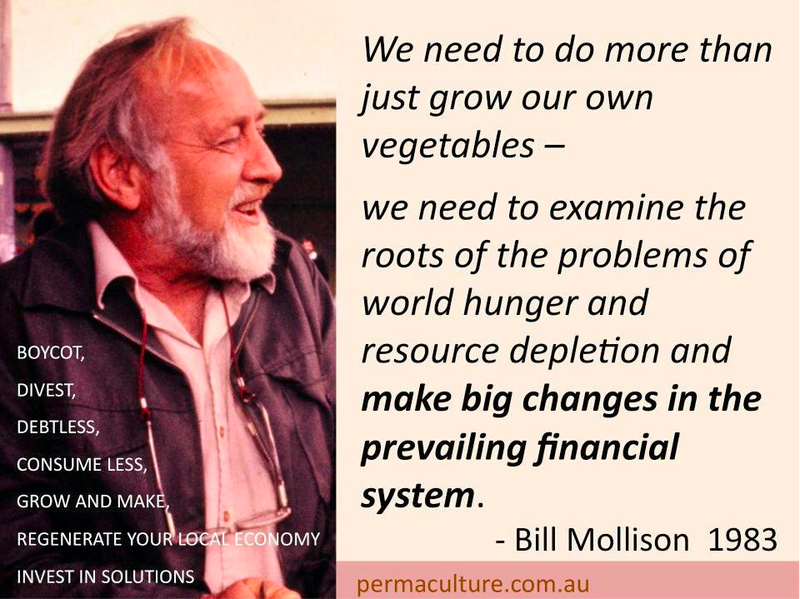 As Bill said long ago, “We need to do more than grow our own vegetables — we need to examine the roots of the problems of world hunger and resource depletion, and make big changes in the prevailing financial systems.” At its heart and soul, permaculture design is based on the fact that all living systems from organisms to organization, ecpsystems to economic systems follow the same patterns. Once we know how to work with any living system on a pattern level we know how to work on every living system. This is the power of patterns. What are the forces whose patterns we need to be observing? And how do we find that “least change for the greatest effect” to shift all of these larger systems? I think these have always been what permaculture has always been about. 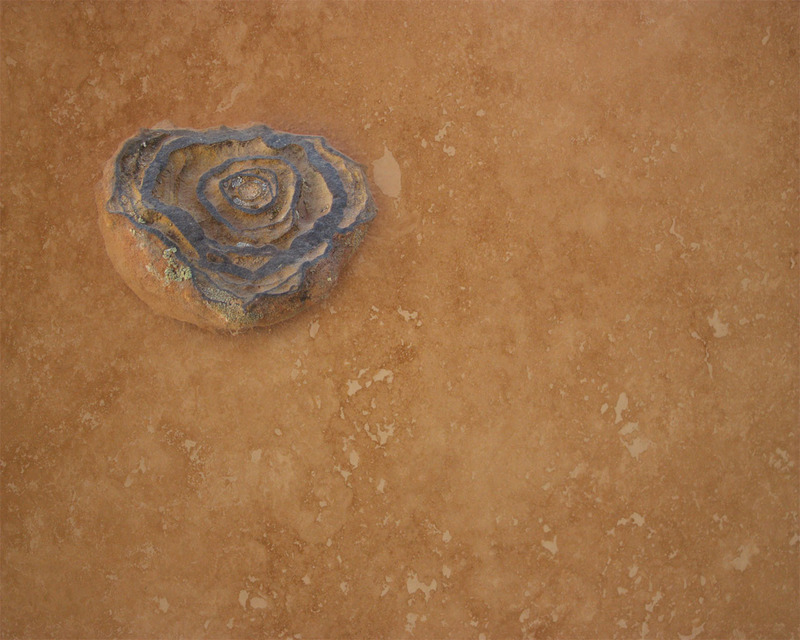 it has never been about working or ways of working, but about seeing the patterns of what is and finding the point to redirect those forces toward regeneration instead of degeneration.